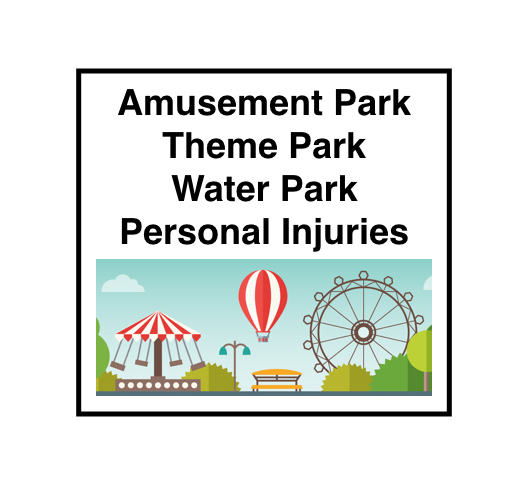 If an adult or a child suffers a personal injury at a theme park, amusement park, or water park, then one element of the case or claim would be established in the form of damages. It should be noted that even when all four elements can be established, the case or claim must be evaluated from a practical standpoint as to the risks, costs, and time involved with pursuing such a personal injury claim or case. In most states, there is a comparative fault set of laws in place. In other words, even if the injury victim was partially at fault for the incident or accident, a case or claim can still be pursued. Furthermore, when a child is involved, there are additional factors to consider including but limited to the age, maturity, experience, height, weight, intelligence, and grade level of the child. 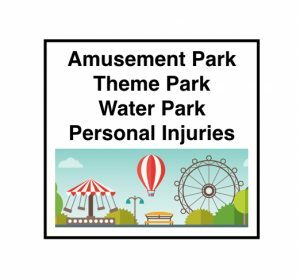 When there is a serious injury or death that takes place at an amusement park, theme park, or water park, there often is an internal investigation by the property owner or management company. There also may be a third party or government investigation of the injury or accident. It should be noted that the injury victim’s civil case is not necessarily controlled by the internal investigation or the government investigation; however, important information and details can be produced by the internal and government investigation to assist with the investigation and pursuit of the civl case or claim. It was recently reported that a 10 year old, Caleb Schwab, died on the Verrückt, which was known as the world’s tallest waterslide located in Kansas City, Kansas. New reports stated the riders on this waterslide were required to be 14 years old and be at least 54 inches (4 Feet 6 Inches) in height. Initial news report did not mention the mechanism, cause or details of the death at this water park. As such, just because there was a death at a water slide park does not mean that the water park will be liable or civilly responsible for the death of the child. Further details and investigation will determine the foreseeability and preventability of this particular incident which tragically (regardless of the facts or details) coincided with the death of a 10 year old child. Whenever a child dies, there is a certain ripple effect through the family, neighborhood, community, and school associated with the child and his family. You can read more about this story at Boy Dies on Kansas City, Kansas Waterslide – Investigation Pending. David A. Wolf is an author, attorney, and advocate for injury victims ranging including infants, toddlers, children, teens, and adults. He is the author of 7 books including the book titled The ABCs of Child Injury – Legal Rights of the Injured Child – What Every Parent Should Know. This book has chapters on Playground Injuries, Amusement Park and Theme Park Injuries, Swimming and Water Park Injuries, and other topics. You can get this book for free at The ABCs of Child Injury. 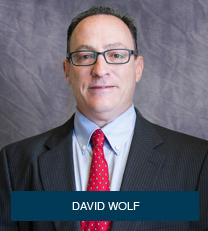 David A. Wolf firmly believes in Giving a Voice to Injured Children and Their Families.